This casual piece is equipped with all the bells and whistles you'll ever need. 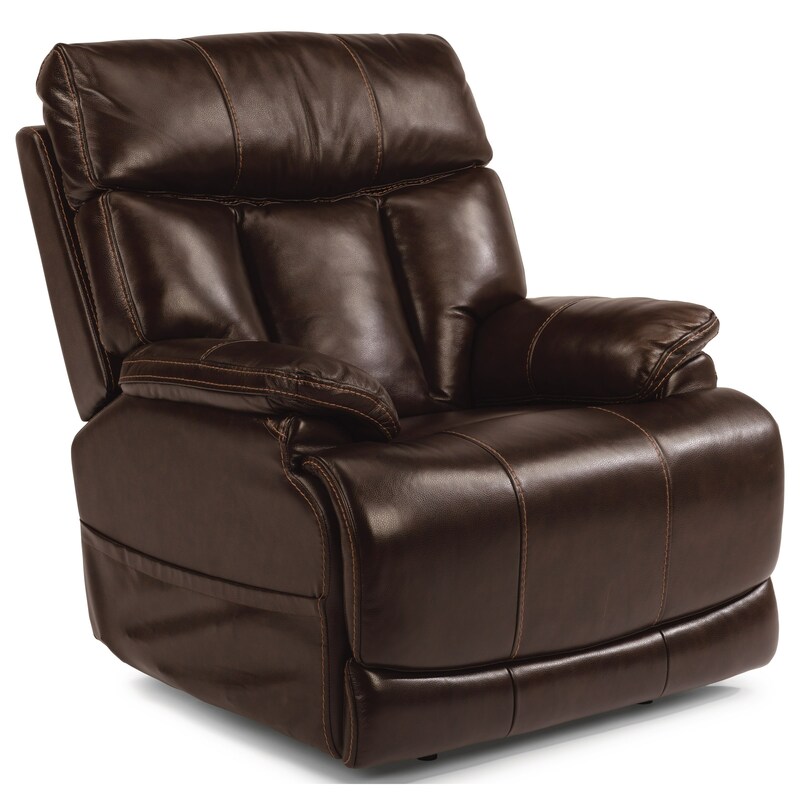 Providing comfort and support from head to toe, this recliner allows you to adjust the reclining angle, headrest position and lumbar support individually for an incredibly customized relaxation experience. The remote used to adjust each of these features is equipped with a Home Button that will return the headrest, footrest and lumbar support to their original positions as well as a USB port for charging your technology needs. Perfect for anyone, this model features a steel seat box and heavy-duty mechanism that can support up to 300 lbs. The leg rest is also extendable to accommodate tall users. The Latitudes-Clive Power Recliner with Power Headrest and Adjustable Lumbar by Flexsteel at Miskelly Furniture in the Jackson, Pearl, Madison, Ridgeland, Flowood Mississippi area. Product availability may vary. Contact us for the most current availability on this product. Padding & Ergonomics High Density Cushion (HC) uses a 2.0 lb high-resiliency, high-density polyurethane foam core tiooed wutg 1.5 lb density recovery foam and bonded polyester fibers.